Conversations Magazine Presents Its "Model Citizens"
What is our definition of a Model Citizen? It's an individual who is working against all odds to pursue their dreams and are using their journey to encourage and inspire others. With Conversations' new segment you will find individuals of all ages, shapes and colors who are following their goals and being rewarded. "I saw the addition of "Model Citizens" as a way for us to showcase ordinary individuals who are pursuing extraordinary paths," says Cyrus Webb, Editor-In-Chief of Conversations Magazine and President of Shadow Play Entertainment. "I think it's important that anyone, regardless of where they are from or what they look like, can find someone they can relate to that speaks to what they can do themselves." That is the whole purpose of "Model Citizens". Beginning with the June/July issue of Conversations Magazine, five individuals from different walks of life will be featured each month. So many showed interested in the Model Citizen feature that Webb decided to devote a special issue of the magazine devoted exclusively to 50 individuals from different backgrounds that are moving forward with their dreams and offering advice for others who want to do the same. Included in those recognized are celebrated recording artists, actors, comedians and those on the rise. It's truly a reflection of the world that Conversations believes we want and can be attained. This special edition is available now for only $7.99 (shipping included), however, will be free to those who already have a yearly subscription to Conversations Magazine. Distribution of the magazine begins August 15, 2011 as Webb and Conversations Magazine celebrates "Model Citizens Week." To find out more about Conversations Magazine visit www.conversationsmag.com. To get a closer look at the 50 individuals in the special Model Citizens edition visit www.conversationsmodelcitizens.com. Interested in being featured in Conversations Magazine or advertising? Contact Cyrus Webb at cawebb4@juno.com or 601.896.5616. "THROUGH MY EYES ONLY: The Marilyn Dixon Story"
Everybody has a story, and at times it might feel as though no one else understands what we are going through in our own lives. The more time I spend talking with individuals and meeting new people, however, I realize just how untrue that is. Take for instance Florida native Marilyn Dixon. Her personal journey is one that included heartache, anger, disappointment yet a strong faith that has aided her in weathering storms that would have destroyed others. For Marilyn, tragedy struck early in her life almost 40 years ago when her brother was killed in a traffic accident involving a police officer. Then earlier this year she had to face a blow that no parent should have to endure. On January 7, 2011 her 37 year old son Timothy was sentenced for robberies of drug stores. He was given a life sentence. "As a mother I was feeling empty, loss and hurt," she says. "I then began to question myself. I felt guilty that maybe I did something wrong as a mother. I replayed my choices in my son's life in my mind over and over again." Timothy had started to get in trouble at an early age. Marilyn says he was a follower, someone who wanted to be a part of his step-brother's family. Around the age of 15 he began stealing cars. After facing misdemeanor charges he was put into a preventative program with hopes that he could be rehabilitated before it was too late. Instead his life seemed to spiral further out of control. He dropped out of school in the 9th grade at 16 years old. Marilyn says this was not just because of the trouble he was getting into. "He always had a problem with learning," she says. "I took every step I could to make sure he could get an education. This is something that even her son acknowledged. "He told me 'Mama you did all you could,'" she recalls " 'It was me and the choices I made.'" This offered some consolation. "It helped some to hear him say that," Marilyn says, "but you always question if you could have done anything differently." The cycle of bad behavior continued for years. Timothy was caught in possession of a gun at age 17, was arrested and sent to a juvenile facility. He stayed there about two and a half years. When it comes to analyzing what kept leading Timothy in the wrong direction, Marilyn says that among the factors was the environment in which her son found himself in. "There are more bad apples than good apples," she explained. "My son found himself around more followers than leaders." 2007 was year that brought more violence to their neighborhood and turmoil to Marilyn Dixon's family. In August 2007 a police officer was killed. There seemed to be few leads and no arrest was made. During that time there was also a string of drug store robberies taking place, and once again Marilyn's son Timothy was implicated. When the latest trouble with her son came up, Marilyn went through the emotions that would be expected of a mother. "I was angry, hurt and in disbelief," she says, "but it hasn't stopped me. God had to help me to heal from this." After they had Timothy in custody for the drug store robberies, Marilyn told me that the police tried to get him to confess to the killing of the police officer. "At first an officer told me that Timothy confessed to killing the police officer," she says. When Marilyn went to the police station she asked her son what was going on. He told her that they wanted him to confess to the shooting. It was at that point that she knew the law was not on her side. "A detective later told me that Timothy hadn't confessed," says Marilyn, "but the detective told me that he was going to do everything in his power to make sure that they were able to put the shooting on him." In spite of the life sentence that was delivered earlier this year, Marilyn still has hope that the last chapter of her son's life has not yet been written. "Recently a new investigator said that he didn't believe the police killing had anything to do with the drug store robberies," Marilyn said. This has given her hope, but it was a different story when she first heard of the connection that police were trying to make between the drug store robberies, the death of an officer and her son. What does Marilyn hope you take away from her experiences and her upcoming book THROUGH MY EYES ONLY? She told me that she wants her story and her family's experiences to encourage someone and let them know that they are not the only one going through hard times. At a time when so much is geared towards the things that divide us, it's good to know that there are still people out there who are willing to use their experiences to benefit someone else. 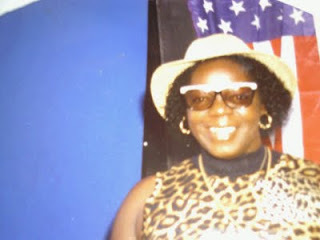 Keep in contact with Marilyn Dixon on Facebook at www.tinyurl.com/marilyndixonstory. While much of the talk in Washington right now seems to be about who can make themselves look the best, reality star Bigg Marv is using his time and name recognition to bring attention to the dedication and sacrifice of America's military. "I'm a military child myself," says the 35 year old star of A&E's HAMMERTIME and the upcoming series KINFOLKS. "My dad was in the Navy and I know what it's like to have your family away, not knowing if they are coming back." On July 2, 2011 Bigg Marv hosted a concert at Ft. Hamilton in Brooklyn, NY that was a tribute to the soldiers and their families. 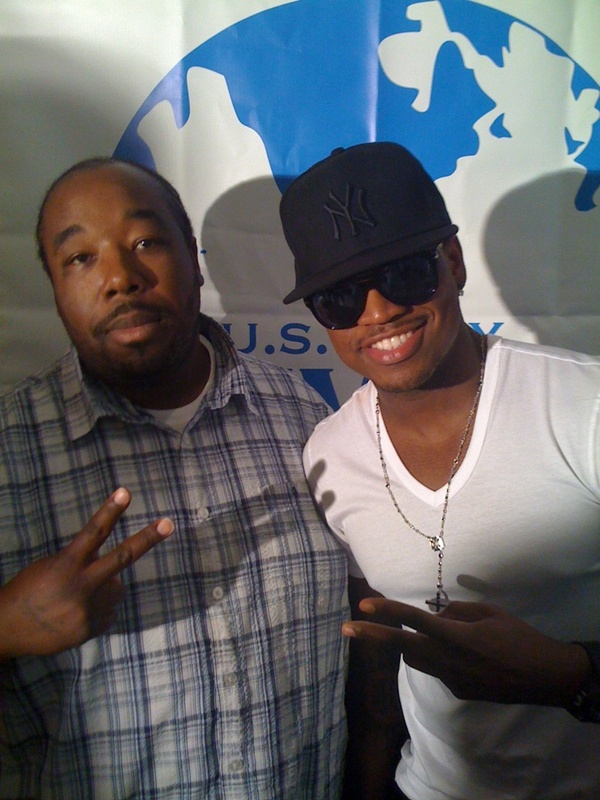 One of the headliners for the event was singing superstar Ne-Yo. This work on behalf of the troops is nothing new for Bigg Marv, though. "I started volunteering in my late teens early twenties," he says. This would be at the VA Hospital and with charity work that was benefiting the men and women of the Armed Forces. When there is a debate in Washington that puts the financial stability of the troops and the family at risk, Bigg Marv says most of us don't understand the far-reaching consequences of it. "They are already giving so much," he says. "The least we can do is make sure they are taken care of and protected and not used as political pawns." Look for Bigg Marv to be active in other events to support the military throughout the rest of the year and into 2012. You can keep up with his activities at www.twitter.com/biggmarv. Shadow Play Entertainment is pleased to announce the release of the August 2011 issue of Conversations Magazine. "This issue highlights some of our greatest achievements," says Cyrus Webb, Editor-In-Chief of the publication and lead columnist. "You are getting the best of who we are as contributors as well as great individuals that you may have heard of but get to see in a totally different light." Contributors for this issue include music editor Stanley Clark, bestselling author Tony Lindsay and Helene Weinberger. Though Webb wrote the majority of the articles he gives credit to those who told their stories to him for the issue coming out so well. "You can't talk to people who don't want to be talked to," he says. "Everyone, though, that you will read in this issue wanted to share their story and the journey of their lives up until this point. I just get the opportunity to share that with all of you. To catch up on past issues and to find out more information about past issues and what's to come, visit www.conversationsmag.com. For additional information you can reach Cyrus Webb at cawebb4@juno.com or 601.896.5616. They are two authors with the same first and last names and stories of inspiration and empowerment. Meet the two Martin Levins. I've had the opportunity to interview both authors on Conversations LIVE Radio, and now I get to introduce them and their books to you our readers. 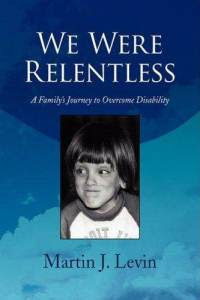 WE WERE RELENTLESS is an endearing account of one family's ability to deal with the challenges of life, especially when they literally hit home in their first child. Martin Levin gives an unfiltered look at what so many parents have to deal with, but don't have the voice to get the word out like he has in this powerful book. When their son Jordan is born not just premature but with a disability, there becomes more challenges to deal with and few options that seem to be at their disposal. What happens, though, not only showcases the importance of summoning the strength within yourself but realizing what can be impossible when the odds seem stacked against you. The entire family unwittingly shows how we can be empowered to do so much good for others if we truly want to. It's not about the excuses we find easy to make but the decisions that are not easy but can have far-reaching effects. This book is a must-read for anyone who has family or friends with special needs or are going through a difficult moment. Reading about what the Levins had to do will showcase that with a little help we can all be victorious. It's as Martin tells us in the book: "Miracles do happen. Perhaps some of them are a bit slower to happen than others." We just have to make up our minds that giving up is not option. Find out more information about the book, the author and Jordan visit www.wewererelentless.com. We often hear that dogs are man's best friend, but friendship is something that is definitely a two-way street. 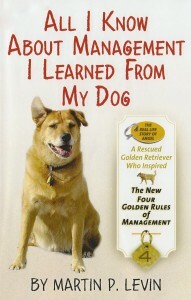 That is something that 92 year old Martin Levin learned as he befriended his dog Angel, who inspired the book ALL I KNOW ABOUT MANAGEMENT I LEARNED FROM MY DOG. You see, Angel was not just a pet. Levin quickly learned that if he wanted to get anywhere with her, he was going to have to take time to understand how to best interact with her. This lead the author to his four Golden Rules that he discusses in the book: 1) Trust and Leadership, 2) Communication, 3) Problem Solving and Decision Making and 4) Perseverance. While the author applies these lessons that he learned from his dealings with Angel to management skills needed when dealing with those we work with and who might work for us, there is a larger application that needs to be explored. How many of us don't want to benefit from good communication, whether it is a friend, a mate or someone who interact with on a regular basis. When it comes to issues that arise in the home or in a relationship, aren't problem solving and decision making something we find necessary? And for parents, how important are trust and leadership in the home when it comes to dealing with children or those in your care? Finally the big one, PERSEVERANCE. Nothing can be truly accomplished in any aspect of our life if we give us. Martin Levin surely wouldn't have been able to share with us about his dealings with Angel if he had just given up. The same is true with us. If we give up in our dealings with each other no matter where they fall in our lives, we can't get anything done. With a little something for everyone, ALL I KNOW ABOUT MANAGEMENT I LEARNED FROM MY DOG is something you should add to your reading list and your outlook on life. For more information visit www.skyhorsepublishing.com. * Both titles can be found on sale by visiting www.Amazon.com. Author Tom "T. R." Foster knows how to tell a great story. I had the opportunity of interviewing the New York native on Conversations LIVE and he was able to share the events of his life that led him to his new path as a published author. You wouldn't know it unless he told you, but ANGELS OF VENICE is his first published novel--even thought it doesn't read like it. With an active imagination and characters that pop right off the page Foster shows himself to be someone skilled at drawing in his audience and holding them until the last page. In this interview for Take Ten and Conversations Magazine he talks about how he got to this point, what message he hopes we take about from ANGELS and what's next for the man who has a lot to say. Tom, your journey to being a published author is an interesting one. Before we get into your debut novel ANGELS OF VENICE, I want to talk about your love of creating. Can you share when you first became aware of your love of how things worked? This is almost embarrassing, but my earliest memory of trying to figure out how something worked was probably when I was 4 or 5 years old. I was curious about electric motors. I imagined them as a collection of gears and wires. Somehow sparks would spring from the end of a wire, hit the gear teeth and make them turn. You know, like a transfer of momentum. I've always had crazy ideas. Not so good for science and engineering—but great for writing. I think growing up to question things going on around us is almost a normal process. As a writer you do it more as you construct the storyline and the characters. Do you remember when you first started to write your thoughts down and how those around you percieved it? Questioning things that are going around us maybe normal but too often we're satisfied with the superficial answer, the one that doesn't require much in the way of critical thinking. If you're honest, writing will drive you to that critical level. I first started to question my entire life when I was in college in the late '60s. A lot going on then. But it wasn't until I started writing—maybe twenty years ago—that the questioning became organized and focused. Then my friends found out I wasn't as quiet and mild mannered as I appeared. My early storylines and characters were dark and violent and have generally remained so, even in my most recent writing. Why is this? Or more to the point, why are we, as individuals and as a society, so fascinated by violence—even as we are repelled by it? This is a question I keep going back to over and over. I still don't have a good answer answer. 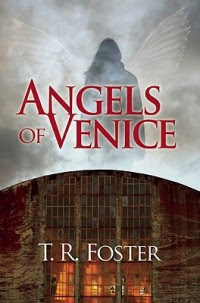 At the heart of ANGELS OF VENICE is the seen and unseen battle going on in the world between Good and Evil. For many this is not just a physical fight but a spirtiual one as well. What role would you say your view and personal ideals, when it comes to the issue of faith and the future, played in the writing of the book? My personal view of the future (at the moment) is somewhat bleak, yet I don't doubt our survival. Angels of Venice is certainly about good and evil, but it's also about choice. Without giving away too much, the "Angels" give certain individuals tokens of friendship. With these tokens, people can accomplish anything they liked. Do evil or do good. And of course there's Eliza's choice at the end. The balance between good and evil depends on our individual choices—on our free will. It's my faith in the existence of free will in a world where choice does not always appear to be an option that really drove this book to completion. For me one of the biggest reminders in your book is that all is not lost. There is good still around us. Is that something that developed organically in the story or was it one of the main lessons you hoped readers would glean from it? I'd like to say it was an intended lesson but that would mean I know how my stories are going to turnout as I write them—which is never the case. The key thing is to start with an honest problem and characters with real desires and emotions, then turn them loose. So it's very much an organic thing. In Angels of Venice most people are allowed choices based on their feeling and perceived needs, just as in real life. Many of the choices turn out to be bad, but others are good or at least mixed. So at the end of the story some good remains, as it must. There is a continual dynamic and balance between good and evil in the real world because the whole process is driven by a multitude of personal choices. I think this was of the main points to come out of Angels of Venice. Writing can sometimes be a rather personal and lonely profession, Tom. What has it been like for you to get feedback about the book and how does that make you feel as you move forward in your literary career? It's really cool to get compliments from readers. I'm a big compliment junky—truth be told. And while it shouldn't be the case, it is also a validation. Almost anyone can write a set of good sentences. Sentences that are grammatically correct with just the right number of nouns, adjectives and verbs. But telling a story is an entirely different matter. And very few can do it well. So when you get it in your head that you can be a writer and create powerful visions from mere words, you're taking a big risk. So that one positive review re-enforces the belief that you weren't deluding yourself. You are a writer. Now you're justified in writing another one—even though you were going to do it anyway. Can you tell us what we can expect next from you? The novel I'm finishing now is called Kool Blood. Though it takes place twenty or thirty years in the future, I don't consider it science fiction. It's more of a dark satirical commentary on the greed and violence that's so prevalent in our culture right now. See? There's violence question again! I'm still trying to get an agent for it. If that doesn't pan out, I will self publish it, hopefully by early fall. Shifting gears just a bit, Tom, I want to ask you about the internet and how it has helped you in your writing career. How have you used it to promote yourself and your work? The main thing has been setting up a website. In fact I have 2. My ideas are that big! It's a great way to get my face out there and to let everyone in on my latest projects and crazy ideas. I also use Facebook, particularly if there is an event coming up that I want everyone to know about. Do you find yourself having to promote and market more than you actually write these days? Recently that seems to be the case. Even if I'm actually not promoting the book, I find myself wondering what other things I should be doing to get T. R. Foster out there. What's even worse, I'm already thinking about how to market Kool Blood. Even as I finish word-smithing it, I find myself wondering how a few scenes might be changed so more people will like the novel. If you have these kinds of thoughts, creatively speaking, you might as well put a gun to your head. Using your own experiences as a marker, do you have any advice for those individuals out there wondering if the effort is worth it when it comes to pursuing their own dreams? Not to sound cold, but I think if you have to ask about the effort, you shouldn't even start. There isn't anything rational about acting on your dreams or creative desires. You won't make much money, most people won't want to look at your stuff, read your writing or even care much about you one way or the other. The good news is that a few people will care. And they will care very deeply. So you need to work extremely hard on your craft and push on your dreams—always be honest about this. That way when those few people arrive, you're ready to give them something that enriches their lives as well as your own. Thanks again, Tom, for taking out this time with us. How can our readers keep in touch with you online? Come visit me at www.trfoster.com. So many times we get so caught up in our own problems that we forget about the hardships and daily struggles of those around us. Not Tony Marren. He has spent over 20 years volunteering to help feed people that are struggling to put food on the table. Then in 2009 he formed Operation Just One Can (www.operationjustonecan.org) with the objective of showing what we can do with literally one can of food or the change in our pockets. Tony and his organization came to my attention in June as I was searching for story ideas for Conversations LIVE and this publication. After reading about his cause and talking with him about his goals, it was obvious to see that this was something he was not only passionate about but realized the importance of sharing it with as many people as possible in order to have the largest impact. I was sold, and started looking for ways that I along with Shadow Play Entertainment (the parent company of the Conversations brand) could help. It occurred to me that as Tony stated, we can make a difference where we are right now. It doesn't have to be a large food drive. It begins with one person, with YOU. As a way of jump starting my effort to help Tony get the word out about Operation Just One Can I posted his logo and a link to his site on all of Conversations' primary sites: www.conversationsmag.com, www.conversationsliveradio.com,www.thebestbookclub.info and www.conversationsmodelcitizens.com. 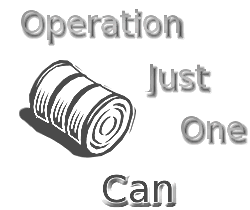 I also decided that Conversations Magazine would donate a 1/2 color ad space (a $250 value) to promote Operation Just One Can in each issue for the rest of the year. That took care of the easiest part. I then called up a good friend of mine---Eddie Sandifer---who for the past 17 years has worked with the Southern AIDS Commission. One of the components of their work is to offer a food pantry for those living with HIV and AIDS. I had worked with Eddie a few years ago, and saw this call to action by Tony as a way for us to reconnect. I have now committed to donate 50 canned goods a month to Southern AIDS Commission beginning August 1, 2011. That is the least I can do to make a difference in the life of someone in need. What about you? What can you do to make a difference? For starters visit www.operationjustonecan.org to find out more about Tony and the ways you can help. Maybe it can be your finding a worthy cause in your area and helping it in your own way. For some it could be a civic or religious organization that can band together to address a problem you see. The lesson for me is that no matter what you choose to do, make sure you do something. That is the only way that problems can be addressed and erased. A big thanks goes out to Tony Marren for using his own example as a blueprint for what we all can do. I also want to say thanks to Eddie Sandifer and the work that Southern AIDS Commission is doing to make a difference in the state of Mississippi. If you would like to donate to Southern AIDS Commission, contact Eddie Sandifer at 601.519.6208. You can also ship canned goods and dried food items to the following: Southern AIDS Commission * 2310 Belvedere * Jackson, MS 39204. Want to share what you are pledging to do in your own area or want us to know how you are helping others right now? We would love to share your stories both online and in future issues of Conversations Magazine. Email me at cawebb4@juno.com with your stories. Together we can make a real difference. Following your dreams is not easy, but the rewards that comes from doing what you love and enjoy are priceless. Ask Charlene Amoia. She has been able to use her ability to bring characters to life through acting to pursue a career that has brought her not just acclaim but genuine joy. I've watched interviews with her online as she is talking about her latest project or her journey in the entertainment industry and she seems to smile from the inside as she talks about experiences and what's next for her. 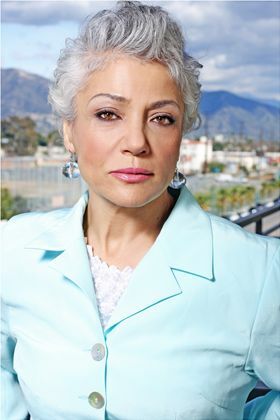 Already she has been seen on notable shows such as Days of Our Lives, How I Met Your Mother and even Glee. No matter where you will find her, though, you can be sure that she is giving you her own. In this interview with Conversations she talks about her beginnings, her personal view of success and what's next for her. Charlene, when did you first realize that the way you were going to express yourself to the world was going to be through entertainment? On my very first audition I caught the acting bug and realized there was nothing else I wanted do in my life. I've never regretted my decision. As you went through the process of honing your craft, what kept you motivated? I'm constantly inspired by other actors, directors and musicians. Watching other artists make creative breakthroughs pushes me to excel beyond my own personal limits. Individuals who have achieved the amount of recognition that you have would see themselves as successful. What does success look like for you personally? Success for me is being in a position where I'm able to help others. Being involved with charitable organizations such as Step Up Women's Network, 100 Million Miracles and Women for Women International makes me proud to do what I do. Any advice you want to give for aspiring actors and actresses looking to pursue their dreams? Stay true to yourself, find many creative outlets and don't ever listen to the no's. What should we be on the lookout for next from you. Just did a great guest star on Nickelodeon's "iCarly" that will air in October, a Hallmark movie with Melissa Gilbert called, "The Christmas Pageant" and I will be playing Thomas Ian Nicholas' wife 'Ellie' in the new American Pie movie "American Reunion" that will come out in April of next year (2012). Thanks for your time and congratulations on your accomplishments, Charlene. How can our readers keep up with you online? I just got on Twitter @CharleneAmoia and am on Facebook as well. Thank you for having me! Since the last issue of this magazine I have experienced three milestones: Conversations the radio show turned eight, I celebrated my 36th birthday and Conversations Book Club hosted its 100th author. All three are events I am proud of, but for me it reinforced the very purpose of why I feel I am here---why any of us are here. One of the things I now appreciate more is the power within all of us. No matter who we are or where we live, what truly matters is what we do with the time we have while here on earth. 24 hours. It is the common denominator that we all share, and it is also the very thing that gives us all value. The question we have to ask ourselves is this: Are we making the most of the time we have? I know it's not easy. We all have distractions that make it difficult for us to focus on the positives and the the good around all of us. I struggle with it myself, but I recognize the alternative. In this issue we are giving you stories of inspiration, triumph and interesting profiles that will make you laugh, smile and hopefully think a little more. As with other issues it is my hope that you will find someone you can relate to and learn from. What I got from the people you will read about here is the common thread of not giving up. No matter what their professions, each of them have stuck to what they believe and now they can inspire people like you and more. Throughout this issue you will also find comments from some of our readers as well as those who have been guests on our radio show. We also want to hear from you! Have a comment about something you've read or heard on our programs? Email me at cawebb4@juno.com. Your comments might be used on our website or in a future issue of our magazine. Until next time happy reading and make sure you do all you can to make today a productive one. Anyone who has followed my work with Conversations knows that I don't see color. From the very beginning it has been important for me to offer a platform that is reflective of my own life and those in it. Because of this, I have welcomed everyone---regardless of their race,class and beliefs---to join us in discussions that I hope will get people to think and maybe even challenge themselves. This year I read a book by author Skip Masters called HOW I BROKE MY ADDICTION TO WHITE WOMEN. It was a provocative title that discussed how as a black man his marriage to two white women failed but now in his third marriage to a woman of color he seems to have found real happiness. After interviewing the author and getting to know him a bit it became clear to me that he wasn't against interracial relationships now. It was just he had found through his experiences that they weren't for him. This subject came up again for me in a startling way in April 2011. A poll conducted by Public Policy Polling of registered Republicans in my home state of Mississippi shared some disappointing news. When asked if they thought interracial marriage should be legal or illegal, 46% of those polled said it should be ILLEGAL while only 40% thought it should be legal. I was disappointed not that they told the truth about the way they felt, but that in 2011 so many people still thought that we should be separated by race when it came to relationships. This led me to conduct a forum on Conversations LIVE about the topic. I invited Skip Masters to join us as well as relationship therapists Jessica Stebbins and Dr. Joyce Morley, author M. Beatryce Shaw (who writes children's book dealing with treating people different based on race and disabilities), our sports columnist Herschel Dixon (who is in an interracial marriage) and my brother Alvin Webb who dates women of all races. The conversation was lively and informative, and I felt like we presented some great positions about the complexities that still exist among interracial couples. "I am a married white female in my thirties and have grown up in Washington and Oregon and settled here in Southern California. I was brought up to believe that everyone was created equal in God's eyes, by a mother who grew up with a racist father. 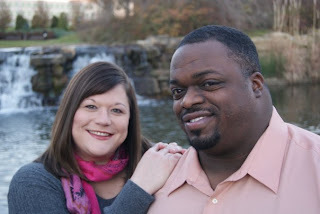 My step Dad is a black man and although they have no children together because she remarried late in life, I don't see their relationship any different than I would if he were white. "He and his children from a previous marriage are both half black/ half white. Growing up in Texas in the 60's and 70's he did struggle with his genealogy, but I feel that it was due to racial tensions in the US and in Texas at the time. His children, my step brother and sister whom I adore, seem to have had no issues with their identity growing up in Oregon in the 80's and 90's. If they grew up in an area of the US which harbored more resentment for their genealogy, parents, or skin color then I suspect it may have been a more difficult journey. "Due to this I DO think that if you're against interracial marriage that it means you're racist, even if you may not want to admit it. We are all children of God. We are all human beings, so why would it matter to you who couples with who if you weren't judging one person or the other by the color of their skin? I think that as Americans we forget just how diverse our genealogies are and I challenge many of these opponents to map their own genealogy and see just what it turns up; they may be surprised. Areas of the US where these anti-interracial marriage sentiments take place are what MAKES it hard for children of mixed race couples have a hard time coming to terms with their identity; and this goes for opponents of any color, not just white republicans from Mississippi. I believe if the racism wasn't present then it wouldn't matter in the slightest. "I want to also add that God is love and if he puts you on a path where you truly find love with another human being that that is a gift from him; who can judge that as wrong?? "I hope that this discussion that you are having helps to open people's eyes to what's right in the eyes of God and the eyes of Man. We should focus on loving our neighbor and looking for our similarities that can bring us together as friends instead of looking for our differences that only serve to divide us." "I am a black woman who has been happily married to a wonderful white guy for almost 20 years. I think the idea of someone being against our marriage and,as a result, being labled "a racist" is absurd.There are very strong feelings among all nationalities about someone venturing outside the "norm". "When I traveled in Europe, the French looked down their nose at the British, the Dutch looked down at the French and there was a strong sentiment that the nationalities shouldn't mix. Why? Because it was easy to focus on what made them different and then corrupt that into different equaling bad. "I really feel that most people want the control that familiarity brings and the idea of someone that they can identify with crossing over into intimacy with the unknown, stirs in them feelings of insecurity and they feel threatened by it. You can't legislate that feeling away. "I have three beautiful, well adjusted children and we live in a anglo-christian rural community, where other children of mixed race parentage are not treated well. I believe and have taught my children that no one can make you feel shame without your permission. We simply don't grant people that permission, we give respect and get it. "If a person chooses not to venture into mixed race waters- that is their personal choice and it should remain that- their personal choice. Just like some choose to dye their hair, work a certain job or read a certain book, the choice is theirs to make, and not mine (or anyone else's) to dictate. "We have lived here almost 5 years now and one of my very best friends is a white lady in her late 60's who, until we met, never spoke to anyone black. I was assigned as her bible study instructor and we have developed a friendship that feels more like family. She now feel that interracial marriage is ok but if you do marry you shouldn't have kids. "She fears that the kids will be treated badly in the "real world". Guess what- it is her opinion and she has a right to it. She loves my children like they are her own flesh- and based on her life experiences, she has every right to feel the way she does. "One of the biggest follies we have in our culture is allowing those who are least qualified set the tone and give advice on subjects that do not concern them. It would be far more meaningful if the poll were taken among those who choose to go outside their group to marry or of children of these relationships. But to ask someone who did not marry inter-racially whether or not it should be legal is like asking a blind man if color television is a good idea. The only thing more foolish is to then give any inkling of legitimacy to their responses. "In conclusion- no, they are not racist- (I know more blacks and Latinos that are against racial mixing than whites) just small minded and trying to keep control of a world that they are ill-prepared to embrace. But that does not mean that we disregard their feelings- we just don't allow it to dictate the laws of our nation or our personal choices." A special thanks to those who joined our panel discussion on the issue, and especially to Skip Masters for having the courage to tackle the topic in print through his book. Thank you also to everyone who wrote in. Do you have your own opinion on the topic that you would like to add to the conversation? Does being against Interracial Marriage mean you are racist? Are the children of interracial relationships automatically at a disadvantage in society? I want to hear from you! Feel free to post your comments on this article online. Email me at cawebb4@juno.com with your coments, name and where you are writing from. You may appear in Conversations Magazine either in print or online or both. I have been a fan of author David A. Kelly since I read BABE RUTH AND THE BASEBALL CURSE. Most our readers know that my interest in sports has really come from the books I have read about the players involved. For me that has created a common ground that has united me with a part of the population that quite frankly I used to think I didn't have anything in common with. That has now completely changed. With Kelly's attention to detail and his ability to tell a great story, I was hooked. When the Ballpark Mysteries series was announced, I knew it was something that I would have to read. Though targeted towards younger readers, I think adults will find the lessons and the adventure something that they can enjoy just as much as any other reading group. In this interview for the magazine I talked with the author about inspiration and what he hopes his readers take away from his work. I also ask about what role his parents have played in his success and what he is writing today. David, thanks for talking with Conversations again. I have had the pleasure to interview you a few times for the radio show, and the thing that comes across the most is your passion not just for baseball but for writing as well. What has it been like for you to share both of those loves with the world? It's been a real surprise for me to be writing children's mystery books set in baseball parks. While I played baseball as a kid, I was always more interested in other things. But then I grew up, moved to Boston, and raised (with my wife, Alice) two boys in Red Sox country. Watching how my sons became so interested and involved in both playing and watching baseball games opened my eyes to the power of sports and activities like baseball to fire the imagination of boys and girls. At the time, I was writing lots of technical and business papers, so the opportunity to explore more creative writing and to focus on baseball and children was a real pleasure. But it's taken a lot of work, and some wonderful guidance from my editor at Random House, to realize the dream of sharing the passion for communication and connection that I achieve when writing, mixed with the passion and interest that my sons experienced through sports and activities. This literary journey you are on has allowed you to write book that young readers and those young at heart can enjoy. Has that been one of the great by-products of your work? It's a great pleasure to be able to produce something creative that people of any age can enjoy. While I know the majority of my readers are elementary school-aged children, I also know that parents, grandparents, and other caregivers will be reading these books as well. That's why, when I'm writing, I try to interweave some interesting facts and some new pieces of information about a baseball team, stadium, or city. Both of your books that we have discussed (Babe Ruth and the Baseball Curse and The Fenway Foul-Up) have been dedicated to your parents. Talk to our readers about how they have influenced the way you look at life. My parents have both been big influences in my life, although perhaps that's always been an unstated fact. In fact, they've influenced me most by not trying to influence me. They've always been incredibly supportive and tolerant of my interests and inclinations, even if they didn't understand them or agree with them. But they've been great influences when it comes to things like ongoing curiosity, a hunger to learn, a desire to help, and an attempt to see the good in any situation and every person. A good example of how my parents have influenced the characters and stories in my Ballpark Mysteries books might be my father, who stands out in my mind for two reasons. First, like my character Mike in the Ballpark Mysteries, he always tried to do the right thing and had a strong moral code of what was right and wrong. Second, like my character Kate, he was always resourceful—thinking up new solutions to existing problems and not afraid to speak up or take action when he thought something should happen. Kate's also a little bit like my mother—she's a font of knowledge, loves to read, and always knows something about the topic at hand. David, let's talk a little about the Ballpark Mysteries series. You told me on the radio that they are books that are not just about sports. Will you explain that? 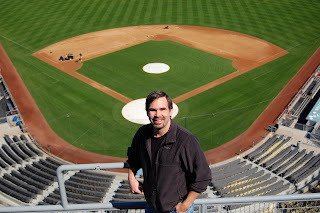 - The Ballpark Mysteries are simply mystery and adventure books set in baseball stadiums. Readers certainly don't have to know anything about baseball (or other sports) to enjoy them. And because each baseball park and team is so unique there are great opportunities for even the biggest sports fan to learn something new. In each book, Mike and Kate visit a ballpark to take a tour or see a game, but lots of the action may also happen outside the ballpark. In the third book they visit a number of interesting landmarks around Los Angeles, while in the fourth book (set in Houston, and due out in Spring, 2012), they get to visit NASA and try on space suits. Is it your hope that readers will take away the importance of us working together to solve problems along with the entertainment that the books offer? Whenever I read a book, it's wonderful to find multiple layers of meaning and understanding, so yes, it's nice to be able to write stories have some depth and can convey richer lessons. However, when I'm first drafting a Ballpark Mysteries story, I have to focus on the details of the plot and the story itself. Children's books are somewhat harder to write than you might imagine, and creating a clean, compelling story that moves along at the right pace takes lots of work, the right guidance, and ruthlessness when it comes to editing. But as I'm doing that, I also think about the nuances of the situations, and how the main characters, Mike and Kate, react to them, and to the other characters. As an author, I do hope that readers will pick up on what Mike and Kate do right and how it impacts them. Thanks again for your time, David. Where can our readers find out more information about yourself as well as the series? It's always a pleasure talking with you and Conversations Live. 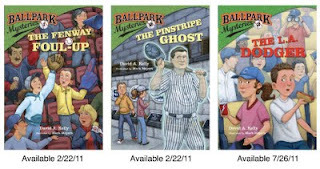 More information on the Ballpark Mysteries series is available on the series' website, www.ballparkmysteries.com. That website is run by Mike, one of main characters in the books, though he does explain how and why I'm the person writing the series. Listens may also want to visit www.davidakelly.com, which provides more information on my travel writing, business and technology writing and other books. Students, teachers, and librarians should visit www.ballparkmysteries.com for details on school and library visits and workshops. I always enjoy working with students and sharing my experiences with other people. Looking for the definition of what it means to create the success you want in your life? Then look no further than Ci Ci Foster. The Chicago native has been active in creating the life she wants for her some and sharing what she has learned along the way. We have gotten to know of her skills both in front of and behind the camera, and when I first interviewed her last year she was celebrating the release of her debut novel Sunny Rain. Today she is using her production company Flower Goddess Productions to not only follow her own passion but showcase others who are doing the same as well. In this interview she took out time to discuss the journey that has gotten her to where she is, what you should avoid as you are following your own path and what is coming up next for her. Ci Ci it's great to talk with you again. You've been on Conversations LIVE Radio a couple of times sharing your journey, but I think we should start by talking about living one's dream. When did you first realize what your passion was and tell us how you went about pursuing it? I discovered my love for the performing arts at a very young age, but it wasn't until college that I decided to make it a career. I got a talent agent and started working in the field. During this time, I was writing a short story as a hobby. A short while later, I decided to expand my short story and find a publisher.Several rejection letters lead me to realize that my dream was not dead and I should self-publish my novel. I am so happy that I self-published my work because the learning experience is extremely valuable. After my novel, Sunny Rain, was completed, I moved my family to Los Angeles. After having a difficult time finding acting work, I formed my own production company, Flower Goddess Productions with my friend Mashari Laila Bain. Throughout our journey, I discovered a new passion: producing. All of my passions- writing, acting, and producing, keeps me excited and driven to fulfill my dreams. Like so many others you have had to deal with challenges in your life. Can you tell us how you kept them from derailing your hopes for the future? I have come across many obstacles on my journey, and I am prepared to face the many more that will arise. When you come across a roadblock, you have to take a detour. I maintain a very optimistic view about life that keeps me moving forward. Anything you want is there for the taking, but it's not going to come easy. I know that as long as I keep fighting and don't give up, my dreams will come true. I first met you when you were promoting your novel. Tell us about the book SUNNY RAIN, and what was it like to have that dream of yours reach fruition? Sunny Rain follows the lives of Natalie, Leslie and Monica, three young African American professional Chicagoans who seem to have what every woman dreams of. In spite of appearances, the women hide their demons from the world until they make the choice to rise above their troubled pasts and reclaim their inner power. Sunny Rain takes a realistic account of the issues women face in today's relationships, including infidelity, abuse, STD's and encourages self-empowerment and healing for all women. I am so grateful to get positive feedback about my work, and I love knowing that it has a strong impact on people's lives. It wasn't until I was getting ready for this conversation that I realized that we have something else in common. 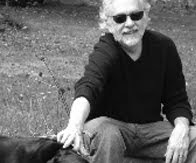 Both of us were profiled by Dafna Michaelson as part of the 50 In 52 Journey project that recognized ordinary people who were making a difference. What does it feel like to know that the work you do is being appreciated by so many? It feels wonderful to have your work recognized. The 50 in 52 Journey profiled the work my production company, Flower Goddess Productions was doing for the charity Hollywood HEART. We created a 2010 calendar and all the proceeds were donated to the charity. Hollywood Heart is a wonderful organization that helps at risk youths and those affected and effected by HIV and AIDS. When you were on Conversations LIVE recently you talked about your new project that you are doing that focuses more on promoting the literary arts. Share the concept with our readers. I am hosting as well as producing a TV pilot titled Digg Into Books. My husband Kevin and I created this show as a way of keeping literature alive by showcasing book clubs all across America. We basically film book club meetings as they review books and in the process, learn all about the book club. Our hope is that more people will want to start their own book clubs or read the books that are being reviewed on the show. So far, we are the first to produce a show with this concept and the response has been wonderful. The show is currently being shopped around to find a network home. Ci Ci, what would you say to anyone reading this that knows what they have a heart for but haven't taken the steps to pursue it yet? One of my favorite quotes is "You don't have to be great to start, you just have to start to be great." I would encourage anyone with a dream to take action to follow their dream. You owe it to yourself. A lot of people operate out of fear and they allow that fear to control them. I am not saying don't be afraid, because a certain level of fear is natural, but when you allow fear to stop you dead in your tracks, you prevent yourself from living the most fulfilled life you can. Get rid of all the negative people and influences in your life. Surround yourself by like minded, positive people and take action. The universe will conspire to make your dream a reality as long as you keep working towards it. Thanks again for taking out the time to talk with us. How can our readers stay in touch with you? Thank you for the interview. I really enjoyed sharing some of my experiences. Readers can keep in touch by visiting my personal website, www.cicifoster.com. They can also learn about the film projects I am working on by visiting my production website, www.flowergoddessproductions.com, and can follow the new TV show at www.diggintobooks.com I am also on Facebook, Twitter, Linked-In, and Myspace. The URL to all of my social networks is /Cicifoster, so I am very easy to find and look forward to interacting with my fans! 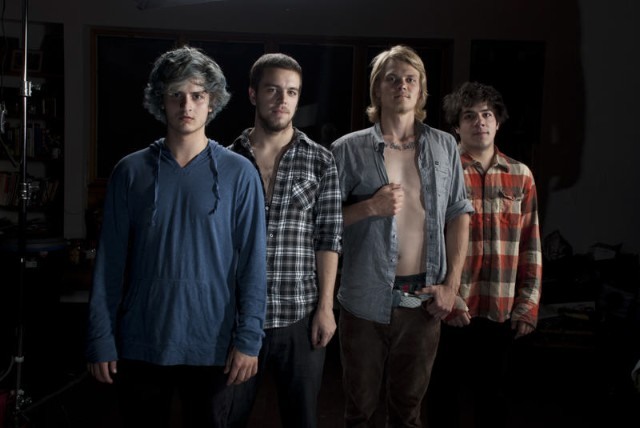 Conversations Magazine is excited to announce the discovery of one of the hottest bands to watch this year ACIDIC! The Los Angeles-based group ACIDIC consists of lead singer and guitarist Michael Gossard, guitarist Michael Thompson, bassist Ted Dubrawski and drummer Matt Whitaker. Gossard, the band’s primary songwriter, has known Dubrawski since elementary school. The two started performing together in high school before Gossard formed ACIDIC his freshman year. In 2008 Whitaker joined the group as the band’s drummer. Thompson was the final member to join the band. They will release their third full-length album on September 20th, 2011. “Chronic Satisfaction” is produced by John Ryan, who has produced for legendary artists such as Santana, Styx and Lynyrd Skynyrd. 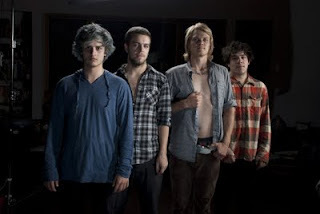 “Michael Gossard and ACIDIC bring much greater creative depth than one normally finds in bands their age. Much like Greenday, their music is evolving from raw punk-rock influences to a more sophisticated sound based on real songwriting and melody.” said Ryan. For more information on the band visit their website at: www.acidicband.com. You can also find them on Facebook, Twitter and YouTube. Not only is it a series that has attracted millions of readers from all over the world under its spell, but it is also responsible for the birth of books that created their own history at the Box Office. What Harry Potter has done for those young, old and in-between is really astounding: taking people that in many cases had never considered even reading a book and creating a fan that has enjoyed the books over and over again. For me the numbers themselves are not as impressive as those that have been personally affected by the work of celebrated author J. K. Rowling. Out of her own personal challenges and difficulties she was able to created something truly magical, and the proof is being seen each and every day. "I am a 26 year old female publicist in Royal Oak, Mi, originally from South Carolina, and the potter series is close to my heart because in a way it helped get me out of troubleas a teenager. "I began reading the first book as a Freshman in High School as extra credit in order to pass English class. I was failing the course and my teacher gave me an opportunity to read the book and write a paper to bring my grade up to passing. "This was the beginning of a transformation for me. I was a total pain for my parents, so much so, they considered sending me to boarding school because I was so incorrigible. "I was completely enthralled with book one and continued to read the entire series through my young adult life. 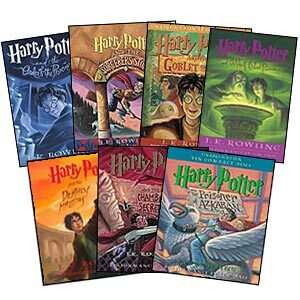 The Potter series really sparked my interest in reading at 14 years old and I love to read to this day. "I like to think If I had never been introduced to Harry Potter by my teacher, whose name escapes me at the moment, I may not have passed Freshman english. If that had happened I would surely be a different person. 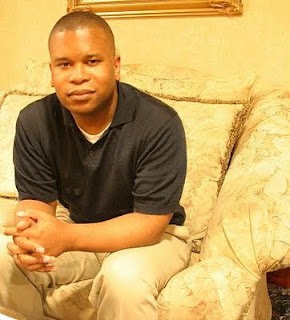 "I went on to complete an undergraduate degree at the University of South Carolina and most recently finished my masters in Public Relations and Organizational Communication at Wayne State University in Detroit, MI. I am actually in the process of enrolling for additional creative/artistic classes at the local community college as well. knowledge as possible and in my opinion, put me on a different path than where I was originally headed. "I may be giving the series too much credit and my parents tough love approach no enough credit in my changing adolescent attitude but I'm OK with that. " "My father bought my young son the first book when it started gaining notoriety here in the U.S. I checked it out but didn't actually read it myself. He loved it so much that he took his birthday money and bought the second and third books. He was about 10, I pre-ordered "Goblet of Fire" for him. "When "Sorcerers Stone" was released we took him to Grauman's Chinese to see it. I was charmed by the film and he gave me his copy of the book to read. I was also charmed by the book and read all four of them. By then I was hooked. "We've been at many a midnight book release party together, buying two books, one for each. I got to know my son much better, it's not easy to have something in common with a teen aged boy but Harry was the thread between us - we read, discussed, projected - we got to know each other of people instead of mother and son, and now, after he's turned 21, we STILL attended the screening of DH, part II together last week. (BTW, I maintained for the git go that Snape would eventually die to protect Harry. I consider myself right.)" "My husband I and are great fans of the Harry Potter series. When the books were coming out (before we had our children) we were among the crazies who lined up outside the book store for the midnight selling of the newest book. We’d sometimes buy two copies so we could both gobble it up without having to wait for the other to finish it! "One of our favorite things about the series was the anticipation of the next book. As our oldest was getting old enough to start his own relationship with Harry and the gang, we wanted to find a way to recreate that magical (painful!) wait from one book to the next. We knew he was going to love the books but we didn’t think it would be fun (or fair!) for him to get to plow through all 7 at once. Also, one of the most amazing things about the series is the way the writing matures from one book to the next. The last couple of books really aren’t appropriate for very young readers but the first ones certainly are! "We’ve implemented a tradition in our house that each of our children gets to start a new Harry Potter book on the night before the new school year starts. So we start book 1 on the night before kindergarten, book 2 on the night before first grade, and so on. My oldest is entering 4th grade this fall and is foaming at the mouth waiting to start the fifth book. My youngest will start 2nd grade and will be starting the 3rd book. (We read them aloud of course…my husband reads to our oldest and I read to the little guy). I love the tradition because it serves its original purpose of giving my kids time to think about and crave the next Harry Potter book. But it also has a wonderful benefit we didn’t anticipate. My kids actually look forward to the start of a new school year! Any “night before school starts” jitters are completely erased by their excitement to start the next Harry Potter book. Now THAT’S a powerful book series! So far they haven’t tried to “cheat” by starting a book early but who knows if we’ll be able to maintain the integrity of the tradition once they reach the 6th and 7th books. Oh well, I guess sneaking an early peak at the last Harry Potter books isn’t the worst form of rebellion. " "I bought (my daughter) the series a few years ago and she had no interest in reading them. When she asked for a DS (personal video game) my husband said YES - as soon as you finish the Harry Potter series. She still was not interested. So the books sat there and at one point she said, I am not going to read them - you can give them away. "Then she read a Percy Jackson book, and then the whole Percy Jackson series and then she picked up the Harry Potter book and within 4 months, she read the whole series. She finished the final book last week and we went to the 7 am movie yesterday which was fantastic! What I loved most is the fact that she knew every single detail from the books. After the movie she elaborated on what they left out, the names of Harry's kids, and how the characters relate and feel. She read and absorbed every single page. "She thinks JK Rowling is a goddess and brilliant." "The way that I started with the Harry Potter series is that when I was 8-years-old, I went to a tradeshow with my mom, I got the second book for free at a stand for books. When I finished it I was hooked, I just had to read more! Then my dad found a movie for the 3rd book. After that I wanted to see and read anthing related to Harry Potter. Since then I have read all the books at least 2 times each! "I feel that Harry Potter series really helped me stay interested in reading and developing my vocabulary which was helpful for keeping my good grades. Seeing my mom blog for her business, I felt I wanted to try that as well and since reading is my biggest passion, she allowed me to connect with other reader/bloggers my age. Now my blog has over 700 registered bloggers who share their views on books they have read and how it relates to their life. "When I was little, my mom's friend, she used to jokingly call me 'Harry Potter's Sister" because I wore same style of glasses as he does and looked like a girl version of him." "My son still will barely read any other books! He is almost 15 and has read and re-read the series, saying all other books pale in comparison. My daughter, 12, saw the movies first and recently read the entire series at lightning speed after years of telling me she didn’t want to read the books." "The Harry Potter books affected me such that it caused me to become apart of a world wide family of Harry Potter followers so to speak. 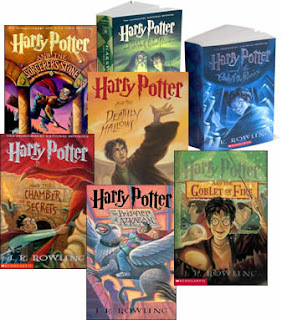 I do not consider myself a die hard, sold out fan (though it is hard not to be) but when I would run into Harry Potter faithfuls, there was an immediate connection such that it did not matter what your race or what your background was. It united a group of people across the globe. It made people talk, especially those who knew a lot about the books. Now that the movies are coming to an end, it is almost like we sadly are looking for something else to fill the void but we know that it is going to be some big shoes to fill. It causes you to look for something else to be excited about or you just simply go back and read the books, watch the old movies or reminisce with friends and family to keep the memories and experience going. In reality, it will never end. "While at Disney World last year, my wife and I got on the Harry Potter ride which was awesome. In the replicated town, there was such a closeness and camaraderie among the people. The line was so long that we did not even notice it because the people in line with us talked about Harry Potter the entire time until it was our turn to get on the ride. This made the wait time go by very, very fast. As a huge fan of fiction books, especially as the Author of a Christian-fiction book myself, it captivated and captured my fascination and attention with the first launch of Harry Potter and the Sorcerers Stone. The book series was so awesome that it hooked me after the first one. It was so captivating and compelling that it caused me to yearn to find out what would happen next. This was a good thing because it caused me to read, and read and read some more. Big ups to Author J.K. Rowling, she is a true genius." "Once I reached the maturity level to appreciate the books, during the fourth grade, I learned that Harry Potter symbolized escape. Harry helps a boa constrictor escape from the zoo shortly before departing to Hogwarts; in Book 2, Ron's family rescues Harry from a cruel summer imprisonment. The magic world and Hogwarts, at least for the first half of the series, becomes a safe place even with Voldemort's continual attempts to revive himself and the other wizards that threaten Harry's life at school; Severus Snape and Dolores Umbridge fail to get Harry expelled, however hard they try to accuse him. "Since the books are about Harry growing up, however, Hogwarts gradually became less safe, finally climaxing when Dumbledore dies, Voldemort takes over the wizarding world, and Dark Wizards become Hogwarts teachers. Harry can no longer see school as a safe haven, and he spends a good portion of the seventh book without a home thanks to the Death Eaters invading any possible personal space. Any adult can relate to this; I live at home now, and home does not feel as safe as it did when I was a child, when I thought my parents knew everything. Now that I know that my parents aren't perfect, and I've taken on more chores and responsibilities, going through the day is much scarier. "For Harry, Hogwarts holds friends, food, and adventure; he has none of those things at "home" with his relatives. J.K. Rowling thus threatens the three things when Harry has to forgo Hogwarts for his Horcrux quest; Ron Weasley walks out on Harry, food is in scarcity, and there is no adventure when Harry has no idea where the Horcruxes are and how to destroy them. We only get adventure in the later parts of Book Seven, the Battle of Hogwarts. Harry finds his friends, adventure, and a bit of food after the battle ends." "I am completely obsessed with the Harry Potter films and books. When I was about 10 years old, I saw the first Harry Potter film. Well, actually, I saw it long before that, but I saw it again and realized I liked it more than before. Then, I bought all of the other movies and watched them. I watched them over and over, bought them on itunes, and became obsessed with the characters. "Two years ago, all of my friends began to really like the Harry Potter books. I had never read them nor did I want to due to my friends excessively talking about them. After a year of hearing 'Harry Potter this' and 'Harry Potter that' over and over, everything settled a bit and they stopped mentioning it every two minutes. Then, I saw the commercial for Deathly Hallows Part 1 coming out November 19th of 2010. It was then that I decided I would read it, the seventh book, for the first time. I kept saying to myself, I really want to read that book, but I never did. Then, the week before the movie, I went to the book store because my sister wanted some strange horror book, she is very much into that, and that is when I saw it. "Harry Potter and The Deathly Hallows", read the cover of a book, perched on a shelf. Paper back, orange in color. I picked it up and held it in my hands. It was as if I had picked up the wand that chose me. I took it to the check out counter. I knew that I was seeing the movie premier night for my sister's birthday (She is very fond of the movies as well). "After I had paid for the book, I opened it up and began to read. I never liked reading. The last time I read a book was in fourth grade. Well, a book that I enjoyed, anyway. I read the first few words and couldn't stop reading. I read during all of the free time I had at school and home. I was determined to finish before I saw the movie. A week past. Then, only hours before we left, I finished. I yelled, "Done!" and patted my shoulder and grinned. Then I put on my cloak, grabbed my wand, and proceeded out the door to see the long-awaited film. That was just the beginning. From then on, I read all of the books, bought all of the extras such as "Beedle the Bard" and "Quidditch Through The Ages". There was no doubt that Harry Potter was my new favorite book. I began a page on Facebook about Harry Potter. As of now, it has 626 "Likes". I'm quite proud, actually. The books have affected my life in a way that no other could. They have given me something to wish for, something to believe in. It is almost like magic. Sometimes, I'll be watching a Harry Potter film and pick up my wand, say a spell and think something will happen. Unfortunately, I am disappointed once again. I feel like it exists, like magic exists, like everything is real. I think that tomorrow, I will be off to Hogwarts and saying goodbye to my mother for a year. It really is upsetting that it never happens, but for some reason, I still have hope. It is like I convince myself to believe that they changed the age when they send you a Hogwarts acceptance letter. "My favorite character would probably be Ginny Weasley. I have always felt a strong connection with that character. A lot of people aren't happy with the way Bonnie Wright portrayed that character but I for one am. As you can probably tell by my e-mail address, I am quite fond of her. "Overall, the books influenced me to read. They also made me more creative and they made me feel like I can always go back to Hogwarts if something goes wrong at my school. Harry Potter and the Deathly Hallows Part 2 premiered last Friday morning. I have already seen it twice. I saw it for my birthday and then again today. I loved the acting, effects and everything about it. They portrayed the books greatly. I know many fans are upset about how much they left out, but I understand that they couldn't fit that whole book into two movies. They really only covered half of it between the two of those movies, anyways. It would have taken at least 4 or 5 if they did it word by word and it would have seemed like J.K. Rowling just wanted to make as much money as possible. That is why they had to cut it down. I am very pleased that they did too! I believe that the films were wonderful and they were just how I imagined in my head. "I would give J.K. Rowling's career an A+. Every writer wishes they were just as successful as her. She has it all. A theme park, eight movies, seven books, and over one million fans. There is nothing better than that. I truly hope she makes more books. Not necessarily Harry Potter, just, books. Harry Potter will always be with me whether it be in a book or in a movie. When I am older, I will open a box I had set aside, and find a series that changed my life, along with the movies that brought them to life. I will give them to my kids and tell them, "Don't ever let anyone convince you there is no such thing as magic." Here's hoping these and others felt because of the seven literary gens that are the Harry Potter series find something else that will keep them reading and sharing with family and friends. We might not know what will be the next big thing when it comes to publishing, but I think that no matter what it ends up being nobody will be remember the little boy that grew up in front us, ready to claim his life and the destiny meant for him. May we also be prepared to do the same.